James’ fifth triple double of the year included 28 points, 11 rebounds and 16 assists. However, the Lakers were undone by a determined Hawks line-up which spread the scoring through their ranks to complete a 117-113 win. Curry’s tally included back-to-back three-pointers late in the fourth quarter to help take the NBA champions into a 103-95 lead. 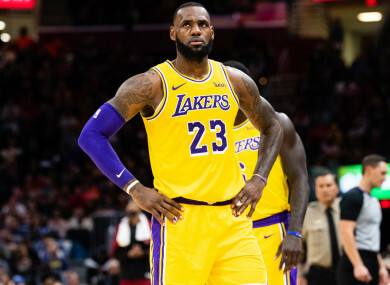 Email “'I can throw that game in the trash' - LeBron dominates but Lakers lose again”. Feedback on “'I can throw that game in the trash' - LeBron dominates but Lakers lose again”.